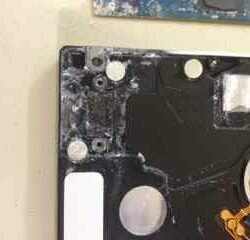 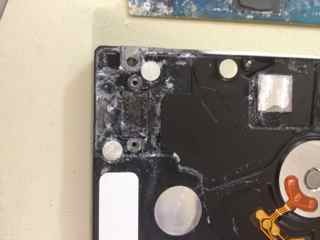 This hard drive fell in a swimming pool. 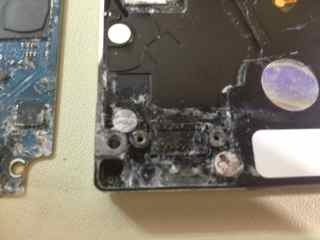 Although the corrosion looks bad, the most important chip from the PCB was salvageable and transplanted to a new PCB. 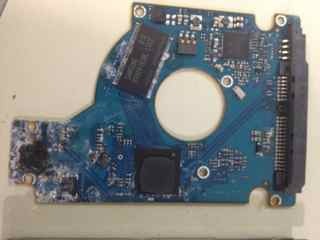 This chip contains the unique information needed to move the heads properly over the platters. 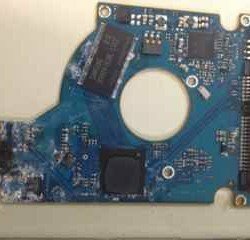 The platters were inspected and cleaned in our clean room. 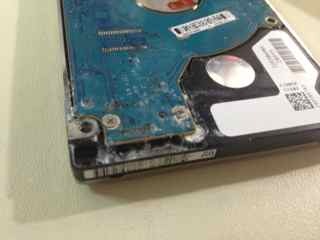 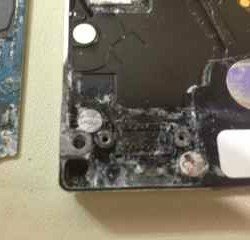 We ended up recovering all the files from this water damaged hard drive for $300!